Stores have been preparing for months. Children start scoping out toy catalogs and lists are being made. In my house the day after Thanksgiving is the day that the boxes come out of the basement and the decorations start going up. Christmas is coming! Last Sunday was actually the start of the advent season. Advent is the few weeks before Christmas that we start preparing for the birth of Jesus. There is a lot of preparing that happens at Christmas. We prepare decorations and gift lists, for parties and festivities we only do once a year. These are all things that mark the season. They are a big deal and we spend time getting ready. But recently I keep thinking, am I really prepared? Not just for the decorating and parties but am I really ready to say yes to this amazing thing- when the Christ comes a little closer to this place again this year. What do you do to start getting ready for the birth of Jesus? Do you think about mangers and sheep and what it would have been like to be born in a stable? Kinda gross probably- not my first choice. Do you think about what a dangerous time it must have been? All those people with such great expectations? Some who want Jesus to save them- be their king and yet they stare into the face of a child and are confused and doubt. I think I would too. I often think about the already but not yet-ness of Christ. We know he’s come and is coming and will come again. That he’s here with us now and will come again, both in our celebration and remembrance of the gift of the Christ child born in a manager but we also prepare for the coming of Christ in the future as we continue to prepare his kingdom here on Earth. It’s all a little confusing and yet- I sometimes wonder if I just go through the motions of Christmas. If faced with the same challenges as Mary and Joseph- would I let go, and say yes? So… here we have a girl, likely 13-15 years of age. She’s a peasant and she’s engaged to a pretty religious guy. An angelic figure visits her saying that she’s found favor with God and is going to conceive a son by the Holy Spirit. I’m not sure about you but I think I’d be a little freaked out. We don’t think a lot about Mary until it’s time to dust off the little figurine for the nativity. This week I started thinking about Mary and what she had to say ‘Yes’ to and what she had to let go of. I think Mary deserves our attention for at least a moment because in her we see what casting our lot with and being blessed by God really looks like. Namely that being blessed means seeing God in the world and trusting that God is at work even in things we can’t see, or understand, or imagine. Mary saying “God, I’m yours. Let’s do this thing.” She said yes. She didn’t say yes because she thought by doing so God was going to shower her with cash and prizes. No. Here’s where this girl had some serious chops. She got something I really struggle to understand: that getting a blessing is not the same as getting a present. She said yes not based on the expectation of things being awesome for her but based on the expectation that God can create something out of nothing. Blessedness is being used for God’s purpose more than it’s getting what I want or things being easy. That yes she gave was fierce! Christmas itself isn’t about getting what you want, or making sure you’re giving others what they want. To experience Christmas is to trust that God can do this thing again. God can again be born in me, in you, in this broken mess of a gorgeous world. This week I will say YES! I am being used by God. May the God through whom nothing is impossible help you to be like Mary….saying a fierce, or timid, or quiet, or confident yes. Have you tried to to let go of something in life, move past a tough time but simply couldn’t? Maybe its failing a try out, getting into an argument with a friend, failing an exam, a break up perhaps. No matter what techniques you implement to move on with your life, those memories or signs of the tough times in life keep showing back up. What I’ve found out in life is that so often in life, when we let go, we only want to do so partially. We try to let go of it when it hurts, but when we feel lonely or doubt creeps up in our mind, we reach back for a time that once was. Imagine the events in your life that you try to move past are like a yo-yo. You toss it down, as hard as you can, thinking it’s gone out of your life for good. But as is the nature of the yo-yo, before you realize it, it returns and is apart of us again. Letting go fully can be scary because even if the mistakes and past times in life are detrimental to us, it can hurt to lose something that has been a part of your life for so long. When I first think of the idea “Let Go”, I think of my freshmen year of high school. Just like as in middle everything changed, I went from a small private middle school with a graduating class of twenty four to a public high school With less than half of those twenty four friends. All I could think about was how good my old school was and how I missed it. These thoughts put limits on me. I became less interactive both inside and out of class. I became more sheltered and seclusive and limited talking to others. It wasn’t until half way through that harsh year of school that my friends Hunter and Nina encouraged me to try to enjoy the moment. I began to let go of the past and my longing for it and began to live my life. By deciding to let go, not to forget or to ignore, of my past I began to take steps towards a happier life. I soon afterword began to make strong friendships with all these strangers in school, which I still have today. I don’t know if I would be the same person today if I hadn’t let go and moved on. I don’t even know if I would have the same relationships I have today if I hadn’t made such a decision. One thing is for certain, I am glad I was able to let go to move forward. The focus video for this week comes in the form of a music video by Jeremy Camp. May the words inspire your spirit and help give you the courage to let go of what you’ve been holding for so long. I am a strong believer that Love is the reason we exist. I believe that God created us to understand and experience the paramount feeling, and to express it in such a way that He does; So we can become more like Him. You don’t have to agree with that in the slightest, but with that being my philosophy to guide me through my days, you can imagine that I took, and still take, human relationships very seriously. I poured my heart and soul into every conversation I possibly could despite who it was I was conversing with solely because I wanted to grow with anyone and everyone who’s path crossed mine due to the idea that God created me to love the way He does. With this in mind, I am sure it isn’t surprising that I took my romantic relationships seriously as well and expected them to last forever every time. Not only because I was 16 and naive, at the time my story I am about to tell took place, but because I was in it for the long run. I would willingly look past tragic flaws and convince myself that these qualities in them didn’t exist. I think it is safe to say that I am a helpless romantic; I believe that when I am dating a boy, God placed them in my life because they are the one. To some that sounds crazy, believe me I think it’s crazy myself, but that’s just how I am. At times it helps such as in forgiveness, but it is perhaps also my greatest downfall. Here is my story: I met a boy my freshman year of high school. This boy taught me to truly love and I spent the following three years with him. We grew close to Christ, and to each other. He made me feel genuinely beautiful, made me laugh on my most somber of days, and always believed in me. I of course was convinced he was the one. I gave him every ounce of my heart; He became the center of all my thoughts and of course, I loved him unconditionally. We planned our whole entire lives together and held on through every trial that came our way because we both agreed that we were the love of each other’s lives and that one day we would get married and start our own family. We dreamed on a grand scale and were determined to make them into a reality. But then one night, he changed his mind. He left me. After three years of loving, sacrificing, patiently waiting, and of course ceaselessly praying, he left me. He found another girl and decided she was worth more than the plans we made. However, he didn’t leave quietly, he left me with an ounce of hope, saying he would be right back, and of course my stubborn heart and mind held on and clung to it with all of my life. I spent the following six weeks mostly in bed because it didn’t feel real. I didn’t want to know what life was like without him. The world seemed gray and I often questioned God’s reason behind it all. I was lost and my eyes were permanently swollen from the tears that stained my pillow that my eyes then lacked. For six months I was devastated. The plans we made were gone. The songs we used to sing made me cry. The hours we would spend talking were now spent in silence. His vanishing act, to me, was the crime of the century, and for some unexplainable reason he remained unaffected and I was left as the victim, asking God why he had to leave. One night, I crawled into bed and immediately fell apart. I grasped the railing of my bed and cried my self into an anxiety attack. I couldn’t breathe, and having experienced this before, I cried harder when what would’ve stopped it before wasn’t working this time around. After minutes of being unable to breathe properly, my vision started to go; Life became crystallized and soon after everything began to fade. This caused for apprehension and I prayed because I didn’t understand what was happening to me. I prayed to escape this locality and to fill my lungs with air again. I slowly regained full vision as my mind went from focusing on the current situation to centralizing around my talking to God. As my outlet to him proceeded, my breathing slowed down and my heartbeat began to take a more languid pace. As always God took a hold of me. I prayed to him and told him I didn’t want to see any more nights that were similar to these. I told him my fears and I told him what I carried in my mind and what consumed my heart as if he didn’t already know. That night I told God I was ready to let go. I prayed to him to guide me through the rest of my days and to lock my gaze on him. I prayed for hope and to remind me that love exists and that it isn’t bad to date with marriage in mind, because it isn’t. (That is the end goal, right?) That night God took my worries off of my chest and I could breathe again. I let go of the plans I had with this boy and accepted the brighter future God had laid out for me. I trusted in him, and I Let Go. God gave me a love that the world could not offer and He took my broken heart and mended it. He promised me a brighter future. This story might be hard to relate to for some who read it, but I imagine everybody has suffered loss and has grown bitter over it at some point in your life. If you haven’t, I am slightly envious because it is a pain unlike any other and I pray, for you, that when the time comes, it is easy for you to accept. I pray that if you are bitter over the loss of something, and the pain from its vacancy resounds throughout your days, that you ask God for the strength to Let Go. In Romans 8:18, Jesus tells us “The pain that you have been feeling cannot compare to the Joy that is coming.” It doesn’t seem believable, I know, but it is. Happy Holidays everybody, and may God bless you always and abundantly. As you through out this week into the holiday and time spent with family and friends alike, find solace in the peace that Christ brings, in the comfort and blessings of community. The serenity prayer is one used in many organizations and support groups in which people are trying to let go and change. May it be a blessing to you as well. This year spec we spent a couple of spec today classes focusing on letting go of image and judgement. These two things, though not done on consecutive days are very much connected. In life, so much judgement we may feel from others, that we may place on others, is based image. Image is so multi faceted, made up of what we think of ourselves, what others think of us and how we internalized. So often, it can affect the way we live life. I found myself a few weeks ago on Halloween sitting at a McDonalds. A few friends and myself decided to take advantage of the new all day breakfast. Few things as amazing as pancakes for dinner. I remember as a child on those rare occasions my grandmother would take my brother and I to McDonalds before church and how excited we would get. As we sat, noted a string of students, both young and old coming in and out of the restaurant. There was such a wide variety of customs. Pirates, doctors, zombies, some I would wear, and others that didn’t look to comfortable. As I refilled my cup before getting ready to depart, I saw a small boy enter all dressed up with his mom. He smiled at me so I knelt down and asked him what he was dressed as and his favorite thing about Halloween. He was someone from a movie I had never heard of but his reason why is what was profound to me. He said Halloween was his favorite because it gave him a chance to dress up and go as someone else. What a revelation. What would we give if we could choose the day, maybe once a week, a year, once in a life time to go as someone else? To leave our insecurities, our fears, our uncertainties and failures behind and go as our ‘dream selves’, go as someone we feel has an image, and labels that we would approve of and others would approve of. As our scripture tells us, everything that God does is marvelous, including creating each and everyone of else. We may make mistakes, hurt those we love, fall short of our goals, but we will always be wonderfully created and loved in the eyes of God. Yet in our daily lives of work, school, sports and so many other things we encounter labels. So often we hear, “you’re fat” or “you don’t be long here” from others. So often the hardest labels to shake may be ones we place on ourselves, “I’m not good enough”. The video posted below offers a new perspective on these labels and the affect they have on our lives. After watching the video you may ask, are all labels a bad thing? A perspective I had not considered even after watching the video until I shared the experience with a friend. As I sat in community with a few members of my congregation and with many others gathered online from countries around the world, I sat in awe. My friend Kevin spoke with passion and a desire in his heart to make sense of it all. He said I am proud to be who I am. He spoke of the pride felt for the things he has accomplished and why wouldn’t he be? And why shouldn’t we strive to succeed and appreciate the hard work we have done as we look back on life as it was and prepare for life as it might be, could be. I’ve learned in this life that like most things we experience, labels and judgements are what you make of them. That while words can sting, hurt us, and may always retain their power, we can relish and find comfort in knowing that we are loved. So as you go throughout your week, remember that, there are some labels that you can wear proud. Be it that we are christians, flawed, imperfect but filled with love. Disciples prepared each day to serve others and to create community. Campers, staff and whomever else may read this, I wish you a blessed week. Spec 2015 challenged and encouraged us to Let Go and allow the divine to fill in the newly emptied space. Since Spec, I have been challenging myself to improve my self-talk. Basically, self-talk is the voice inside your head. At Spec 2015, Kevin Pearce (kevinpearce.com) briefly talked about ANTs—Automatic Negative Thoughts—while sharing a story about dropping his cell phone in the toilet. Today’s devotion provides some additional insight into ANTs and I’ll share my story about how ANTs impact our mind, body, and actions. My 89 year-old grandfather spends the winter months in Tucson, Arizona. Every fall we drive from Kansas City, Missouri (Go Royals!!!) to Tucson. It’s roughly 19 hours of drive time that spans 2 days. Grandpa loves to drive the 2-lane highways that cut across the United States. We drive across Kansas, the Oklahoma and Texas panhandles, New Mexico and through southern Arizona. We see small towns, abandoned barns, towering grain silos, mile-long trains (this year’s longest train was 1.5 miles), beautiful sunrises and sunsets over the desert, and miles and miles of fields. I’ve done this trip 12, maybe 15 times, with Grandpa. For one reason or another I get frustrated during this trip. Usually it’s because my routine gets out of whack. I’m not eating my normal foods, sleeping my normal times, it’s difficult to find time to exercise, and on and on. 19 hours is a long time in a car with someone. 19 hours in a car also provides an opportunity for ANTs. At one of the gas stations we visited on this year’s drive to Tucson I had a good cell signal and called my wife. During the call she mentioned that I seemed “happier”. This confirmed what I had been feeling that day. Taking on the ANTs was working. As I mentioned above, this summer at SPEC I made a decision to improve my self-talk and being aware and intentional about the thoughts I allow in my head. Let go of my agenda about driving my grandpa to Arizona. Let go of control of the route, which roads, when we stopped, etc. Take charge of my eating on the trip. Meditate when I noticed myself feeling annoyed. I recognized the connection between what I was thinking and how I was feeling. My body reacted to my thoughts. When I had an angry or unkind thought on my trip I began to feel my heart beat faster, my hands would get sweaty, and my breathing became faster. When I had a happy or kind thought my muscles would relax, my breathing would slow down, and my hands became dry again. I was also intentional about keeping myself in a positive frame of mind. Sad, angry, unkind thoughts = feeling bad. Happy, hopeful, kind thoughts = feeling good. Our thoughts can make our mind and body feel bad or good. Most thoughts are automatic and happen without us thinking about them. (Think about that. We don’t think about our thoughts.) Also, our thoughts are not always true. It’s important for us to be able to decide which thoughts are helpful and which thoughts are hurtful. Learning how to adapt our thinking can be a useful tool. What is one ANT in your life? Name one. Write it down. Examine the thought. Respond to it. (Is the thought true?) Replace the negative thought with a positive thought. If you heard a friend say an ANT about themselves, what would your response be? The technique I use is quite simple. I like it because it can be used in a variety of places (including a car). It goes like this. Deep breath in and say/think, fill me (Positive word, like love). Deep breath out and say/think, let go (negative word, like anger). When you breathe in think of a good, positive word such as, hope, joy, love, peace, compassion, grace, calm, etc. When you breathe out let go of the bad and negative word such as, despair, hate, sorrow, anger, judgment, frustration, fear, etc. Our thoughts have real and tangible impact on the way we feel and the way we behave. The connection between our mental and physical well-being impacts us constantly. Take some time this week and pay attention to your ANTs, then replace them with positive ones. For more information on ANTs feel free to check out that link. I don’t believe it has been done formally so I would like to welcome everyone to our new blog home. It has taken a few weeks to get everything figured out, get things moved over and to get you all invited and subscribed. Apologies for the weeks without the devotion, but the long wait is over. More exciting news is that we have many new contributors, from other spec today facilitators to campers such as yourselves (if you feel led to share, please let us know). We realize that not every devotion will speak to you, but as is the nature of many activities from camps, reunions and spec, simply being open to the experience can have profound impact on your life. Now that the administrative details are over, I want to welcome you again. In life for one reason or another, obstacles, becoming overwhelmed or simply losing track of things, we have to restart. Now this doesn’t mean that we lose all of the progress we have made, the goals we have reached simply go away, just as in the case of our devotional, the plan God has for our lives can get away from us. Even as we try our best to keep up, we can get lost and so we must restart. This week’s introduction come us from camper Josh Soulliere (North Atlantic Delegation). This week’s theme is restart. To me there is a particular story that reminds me of restarting. The story goes that a man is hiking through the woods, when all of a sudden he falls into a hole. He stays stuck there when all of a sudden a man approaches. The fallen man yells for help but the man above the hole does not here him and keeps walking. A few minutes later another one man approaches. The man in the hole yells for help once again. The new man above hears him and says he has no rope, ladder, or tools to help. The man above apologizes then leaves. Finally ten minutes later a new man arrives and notices the other man in the hole asking for help. The man above leaps off of the trail in the hole with other man. He tells the other man who had fallen early that he too had once fallen in this hole. He then points out that there is a tunnel out of the whole that was unseen before. Both men then proceed to make the journey out of the hole together. In life we all at one point fall off the trail and into a hole. It can happen so quickly that we don’t even know what happened; all we know is that we are trapped in a space we don’t enjoy. For me this time was in the beginning middle school. If being shy, awkward, and confused like most teens my age wasn’t enough, I was going to a new middle school surrounded by completely new people. That idea terrified me in all honesty. When change happens we can lose our path and end up falling in such holes. In sixth grade I felt stuck living in the past rather than being present and living in the moment. As in the story I felt that my new and old friends either didn’t see me stuck or didn’t know how to help and didn’t address the issue. I felt that I was stuck there forever. In my mind I felt hopeless and that there was just no time to restart. This further sent me into a hard depression that year. However, my story changed when I talked to my best friends about how I really felt. My friend helped me find an advisor. Like the man who jumped in the hole to help the fallen man, my advisor and my best friend helped me by showing me an unforeseen path in my hole, which we all walked together. Today I might still have been stuck in such a hole if I hadn’t reached out and gotten the help I needed. Take a few moments to think about all the things you’ve accomplished so far this year, academically, personally or any realm that it is important to you. What happened according to plan? What things occurred completely unplanned or out of your control? What goals did you fall short of? In our moments of highest achievement or when we fall short, it is helpful ask God to help keeps us grounded. We have to ask God, to hit the restart. 18 Forget what happened long ago! 19 I am creating something new. 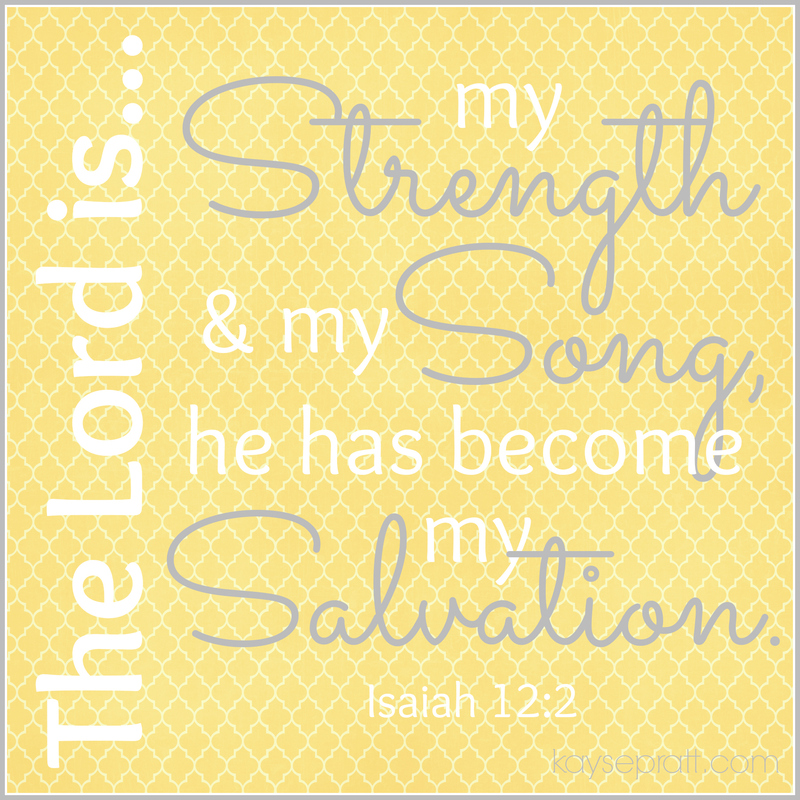 Isaiah 43:18-19, is composed of three simple, yet profound, statements said by the Lord. He says to us, “Remember not the former things, nor consider things of the old.” This is His way of telling us to forget what our pasts contain. We can’t go back and alter our past; so simply forget about it. The things we have done, the things that keep us from finalizing our relationship with Christ and that make us feel unworthy of such a radical love, are only things we even still consider. Our God has long forgotten our sins. He has taken our mistakes and has casted them out into a sea of forgetfulness, never to reel them back in, and never to use them against us. To Him our past isn’t what matters. To Him it’s what we do with the now. “I will make a way in the wilderness.” He says, “and run rivers in the desert.” Even in the midst of our chaotic lives, when we make a mess of ourselves, God will search for us. He will find us and He will show us the way out. When our faith runs dry and our days, now barren, begin filling with doubt, God will replenish us. He will drown us in His love and in His grace. As we draw to a close for this week, think back to your spec experience. When you had obstacles or failures, let downs during the week. Maybe it was not winning at a particular sport, or not getting to attend an elective you really wanted to. 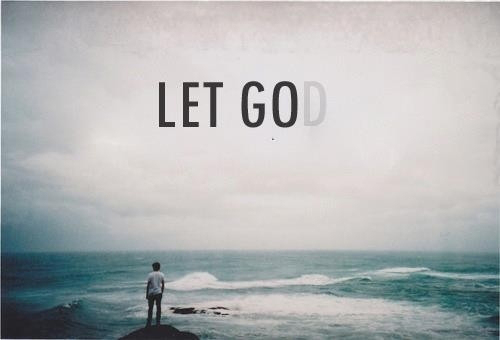 Whatever the hardship may be that you faced at spec, or in life, remember that God helps us to let go. To not carry around the burdens of the past, but instead empowers us with his love to start a new. SPEC Weekly… a new blog series! We’re really excited to announce a new blog series, SPEC Weekly! One of our SPEC Today facilitators, Damon St. Thomas, started a blog after SPEC this year to keep his and John Wight’s class connected throughout the year. Several other campers and staff wanted to be included in the weekly devotions. Thanks to Damon’s willingness to make this available to the wider SPEC community, we’ve added some of our other SPEC Today facilitators as guest writers and would love to have camper perspectives too! Follow the blog and get email updates when a new weekly devotion is posted. We’re really excited about this new way to keep the SPEC family connected across the miles all year long. It’s been just over a month since we left the Graceland campus, saying goodbye to new and old friends to come home and…what? Where are you with your Spec experience? Did camp change you in ways you’ve brought home? Or have you let those feelings and experiences fizzle out as you’re unsure how to incorporate them into your life with people who weren’t there? So often when people have great experiences, it’s hard to explain and live out when returning home. Many times it’s just easier to slip back into our old ways and tuck those new experiences away in a nice neat file in the back of our hearts and minds. If this sounds like you, I want you to take a moment and reflect on what Spec was for you and what hopes or goals you had for yourself upon returning home. Feel free to jot down your thoughts or just hold them in your mind as you ponder. If you’ve been able to live out how you let go of some negative things, I encourage you to challenge yourself to find new ways of being open to God’s nudges. Whether or not you’ve been able to let go of image and be present; let go of judgement and be love; or let go of limits and be brave, I invite you to start small. Think of one small thing you can let go of. Pray on it. Ask God to support you, help you and give you insight. Open yourself to the whispers, promptings and nudges from God. Lean on the meditations we learned in class. Lean on those around you for sometimes change is hard. Letting go is hard. It is up to you to make that decision to let go of something that is no longer working for you. Check in here and tell us where you are now. In the last year, a friend I’d had a rocky relationship with decided to let go of our friendship…to let go of me. At first I was extremely shocked and hurt — it also didn’t help that I realized all of this the day before my birthday. Awesome. This was NOT my rainbows and lollipop version of what I thought “letting go” meant. I did quite a bit of soul-searching as to what part I played in the demise of our friendship. After a while, I realized the freedom of letting go of something that wasn’t healthy. I looked at the situation not as losing a friend (although I did miss this person), but as gaining insight into how I can be a better person and friend. Then I worked on being that better person. I often reflected on that old friend and tried to view them through this new lens of mine. The friend needed to let go of something unhealthy in their life so that they could be a better version of themselves as well. It wasn’t that I was unworthy or that I wasn’t worth the effort (which have been habitual beliefs for me in the past), it just wasn’t working for who each of us was at that time. The friend actually gave both of us a gift – the gift of space to evaluate, heal, and grow. As the year continued and I continued to let God fill me with peace and love towards myself and this friend, I no longer had negative thoughts or feelings about the situation. It’s important to note that I made the decision to trust God and to accept that gift of space to evaluate, heal and grow. And wouldn’t you know it, God has recently reconnected us and we’re letting go of that old junk so we can fill our new relationship with positive love and light. Sometimes it isn’t easy to trust the journey of letting go and letting God fill you with new and positive things. Listen to the song “You’ve got the Love” by Florence + The Machine and consider your journey to let go of ____________.